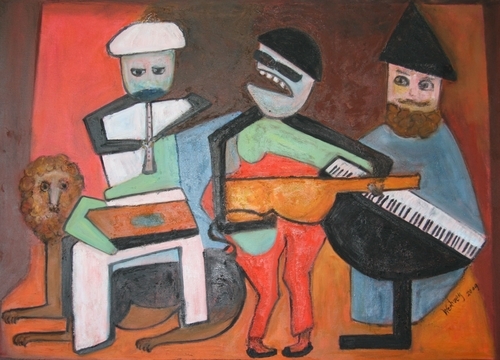 Musicians Series is to portray musicians playing various kinds of instruments and in different kinds of moods, here three musicians in somber mood. 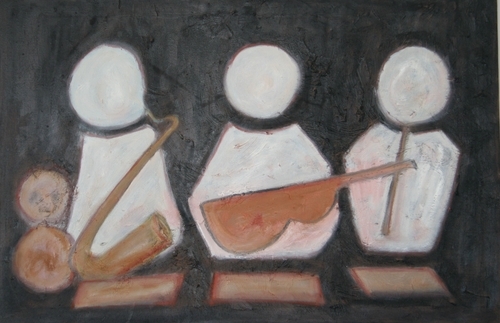 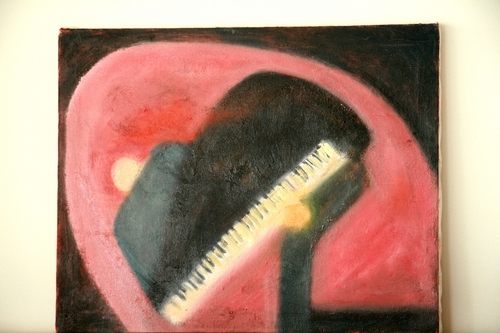 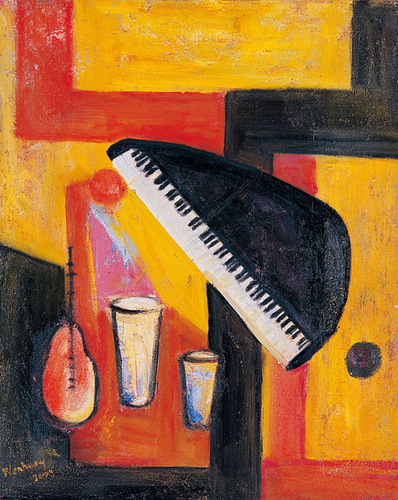 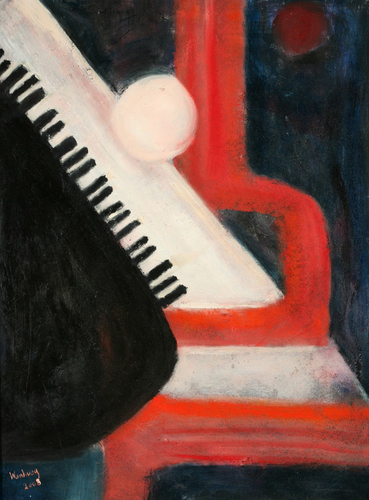 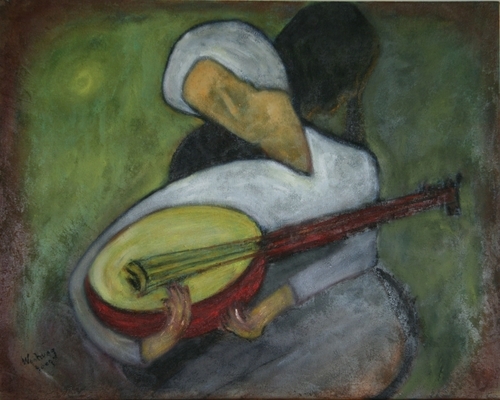 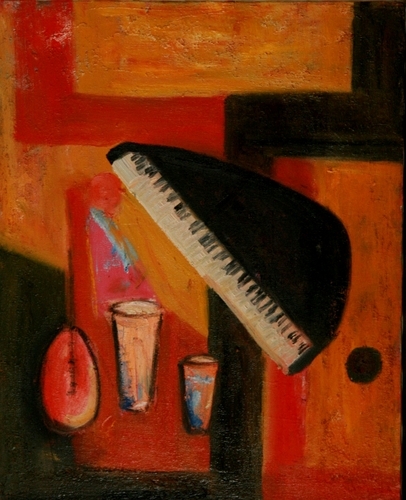 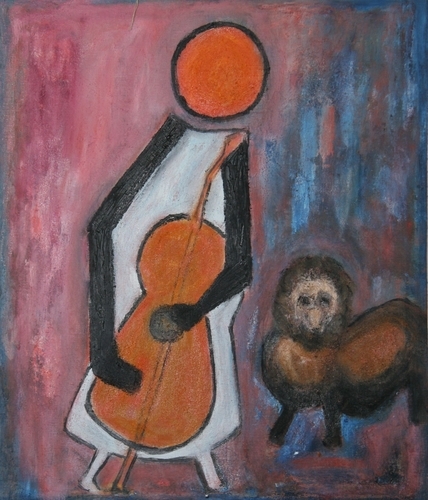 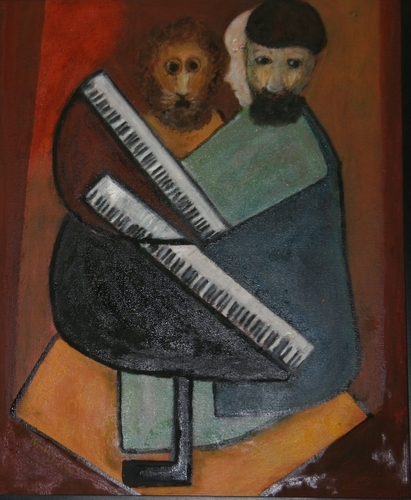 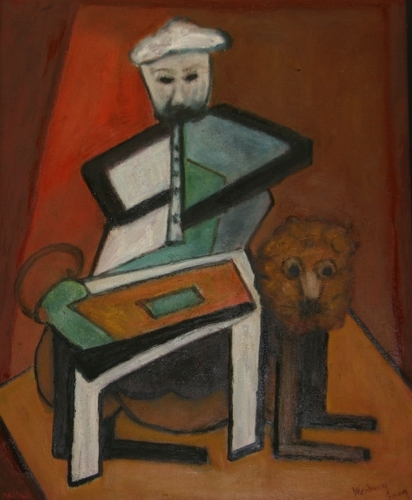 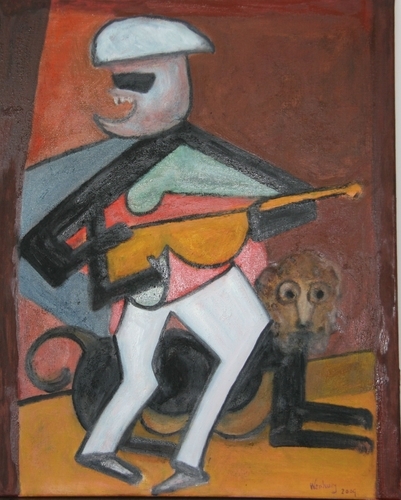 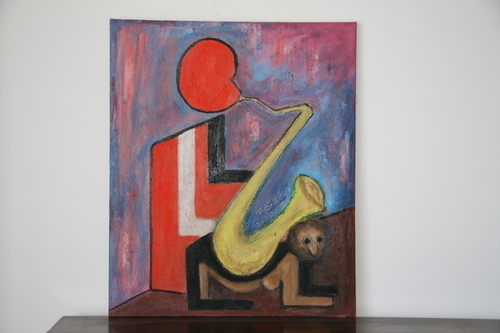 Musicians Series is to portray musicians playing various kinds of musical instruments in various kinds of moods. 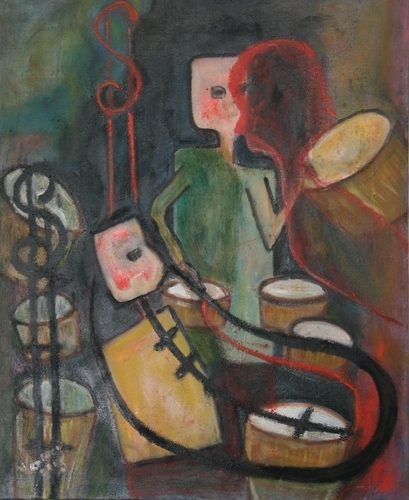 Musicians Series is to capture musicians' moods and their state of joy. 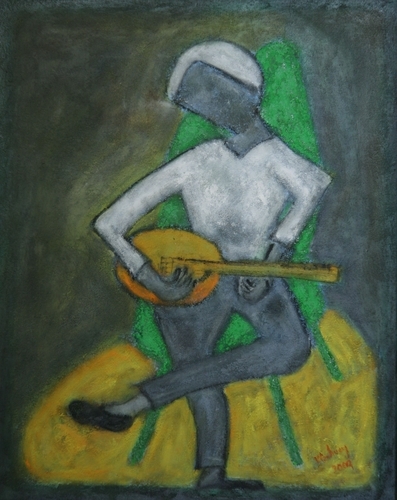 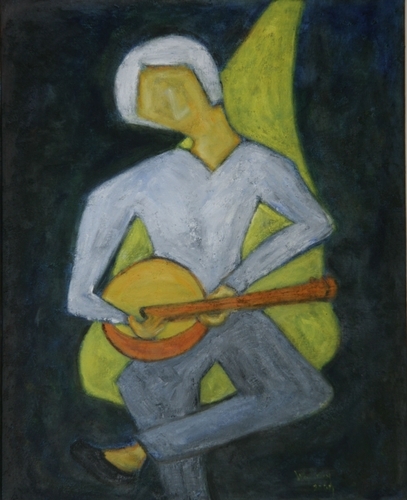 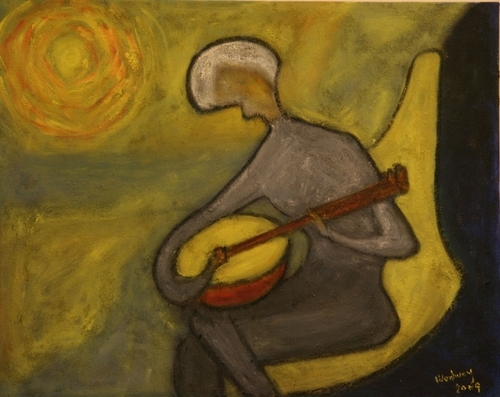 Musicians Series is to capture musicins' moods and their state of joy - here a mandolinist sits in a yellow chair and played serenely.